KAMLOOPS, BC, March 26, 2019 /CNW/ – Pathways to Technology will be connecting nine First Nations in the Cariboo Chilcotin to high speed fibre optic internet over the next 22 months. The project will significantly improve access to health care, education, economic development opportunities and emergency response services to upwards of 2,200 people living in 13 communities within the nations of Esdilagh, Xatśūll, Stswecem’c Xgat’tem, Esketemc, Ulkatcho, Tŝideldel, Tl’etinqox, Yunes’t’in and Tl’esqox. Pathways to Technology was originally funded through unconditional grants from the B.C. and Canadian governments totaling $40.8 million; a portion of this funding will be applied to the project. Pathways to Technology has selected TELUS to build their PureFibre network throughout these communities, representing a significant new infrastructure project. Both TELUS and the Interior Health Authority have contributed complementary funding in support of the connectivity. TELUS’ PureFibre network will enable connected residents and businesses to take advantage of services like video conferencing, distance learning, and virtual classrooms, to access applications for preserving Indigenous language and culture and to use online tools for research, asset management, emergency readiness, tourism promotion and home security. Communities will also have better access to online services from Interior Health and the First Nations Health Authority and other leading-edge e-health technologies and services. Community consultations and design work are underway, and Pathways to Technology and TELUS anticipate construction will start in the second quarter of 2019, with project completion by December 2020. All Nations Trust Company (ANTCO) is a trust company registered in 1984 and in operation since 1988 with its head office in Kamloops, British Columbia. ANTCO’s 214 shareholders are wholly owned by Indigenous organizations, communities and individuals. 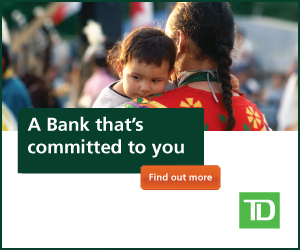 and ANTCO also owns B.C.’s only 100% Indigenous -owned insurance brokerage. Pathways to Technology is a project managed by ANTCO. The project’s original mandate, expected to be met by March 2021, is to ensure all 203 First Nations in British Columbia have access to high-speed internet service.